The Corsair HS60 are above-average gaming headphones, with a good sound for critical listening. They also have a simple yet sturdy and premium-looking design that will work for most. They're also comfortable, well-built and have a good detachable boom mic. They're a wired headset, which means they have console support when plugged into the PS4 or Xbox One controllers and no latency when gaming. Unfortunately, they do not have a detachable cable, and they're not as suitable for outdoor use as some of the other gaming headphones we've tested. Great build quality and cool design. Bass delivery varies noticeably across users. Sensitive to glasses. The Corsair HS60 are decently well-made gaming headphones, with a great looking design that feels a lot more high-end than their price would suggest. They have a durable and a sturdy metal frame, well-padded and dense ear cups, that will easily survive a couple of accidental drops, and a luxurious looking headband that's not too tight on the head. Unfortunately, they still do clamp your head a little bit, since their swiveling hinges do not have the best range of motion. You can remove the boom mic and use them casually with your phone but they're slightly bulky and cumbersome to use outdoors. They also do not fold, do not come with a case, and their cable is not detachable, which is a little disappointing. The Corsair HS60 have a straightforward, over-ear gaming headset design, that looks great and feels decently premium, especially for their price. They do not come in flashy color schemes like most gaming headphones, they also do not have any RGB, LED lighting since they are completely passive. On the upside, they have a classy look and feel with a heavily padded headband, that has a stitch-like pattern on the padding that looks great. The headband has a metal frame, and yokes are also metal and somewhat reminiscent of the HyperX Cloud II's design. The ear cups are relatively flat and low profile, and they have metal grills that make the cups look somewhat like an open-back design, but they are still closed-back headphones. The HS60, like most gaming headsets, are a little too bulky for outdoor use, but the understated and high-end look and feel of these headphones will work for most. The Corsair HS 60 are comfortable gaming headphones. They have a well-padded headband that doesn't feel too tight on the head, and the ear cups are large and will easily fit around most ears. The cups are also well padded although not as much as the headband. Unfortunately, the swiveling joints/hinges do not have a wide angle of motion much so these headphones will still give you a slight clamping sensation over time. On the upside, they are still comfortable enough to wear for long gaming marathons without much pain, soreness, or fatigue. The Corsair HS60 have a simple gaming control scheme. They have a volume dial on the left ear cup, and a mute button to enable and disable the boom mic. Unfortunately, they do not have a channel mixing dial or a cable with an in-line remote for use with your phone which is a little disappointing. On the upside, the controls are all very easy to use and deliver good tactile feedback. These headphones will make your ears fairly warm during long listening sessions and would not be suitable for more intense workouts. They have a closed back over-ear design that fully encapsulates the ears and obstructs airflow. Unfortunately, they do not come with more breathable pads like the Logitech G433 or the Astro A50. They won't be ideal if you often have long uninterrupted gaming sessions, but they should be okay if you take a couple of breaks from time to time. The Corsair HS60, like most gaming headphones, are not very portable headphones. They have fairly large ear cups and do not fold which makes them less portable than some of the other over-ears we've tested. They will be a hassle to carry around on your person without a bag. The Corsair HS60 are well-built gaming headphones with a simple and efficient design. They have a thick and well-padded headband and metal frame for the hinges and yokes that feels very durable. The ear cups are dense and have metal grills that make them look somewhat like open headphones but it's more for aesthetic purpose. On the upside, the grills are well-built and feel sturdy enough that they won't break from a couple of accidental drops. 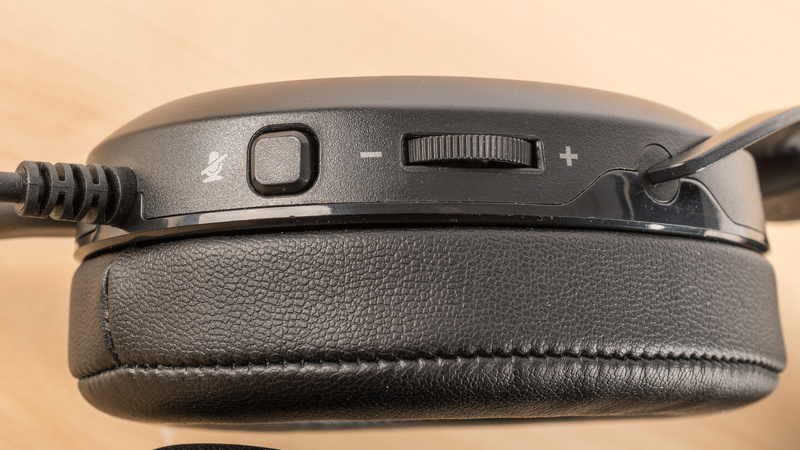 However, the swiveling hinges, where the ear cups meet the metal frame of the headband, is somewhat thin and does not have a wide range of motion, which would be the most susceptible part of the HS60's design. Overall, these headphones are easily as well designed as some of the other gaming headsets we've tested, like the HyperX Cloud Alpha. 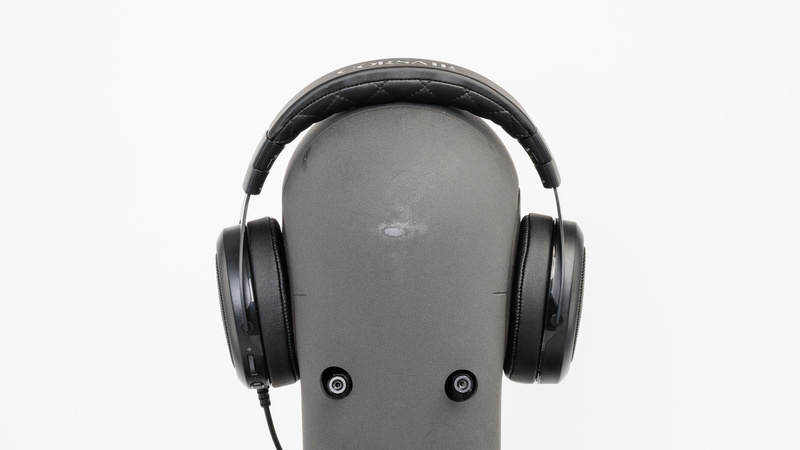 These headphones are surprisingly stable but unfortunately, do not have a detachable cable. This means that if the cable gets hooked to your desk chair while you're gaming, it may yank the headphones off your ears, which is not ideal and might damage the headphones in the long run. On the upside, they're stable enough for most casual activities, despite their bulky design. The ear cups do not protrude much, their fit is just tight enough to stay on your head, and the swiveling hinges do not have the widest range of motion so the headphones will stay in place even when jogging. However, since they are not sports-oriented headphones, they will still occasionally slip off if you tilt your head too far back, but it's not a big deal for especially for the gaming use case. 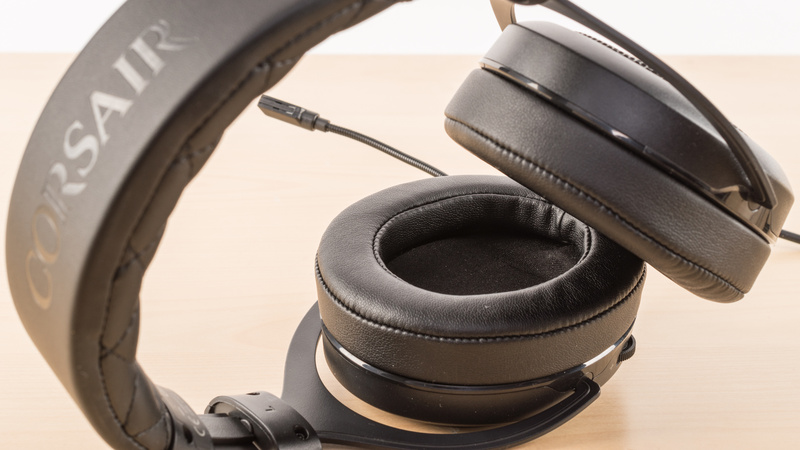 The Corsair HS60 is a good sounding pair of closed-back over-ear gaming headsets. They have a deep, powerful, and punchy bass, a clear and well-balanced mid-range, and a good treble. However, their bass could be a bit boomy for some, but prone to inconsistencies across multiple users. Also, their treble is rather uneven and could sound sharp and piercing on certain tracks. Overall, the HS60 is quite versatile and suitable for a wide variety of genres from bass-heavy music, to rock, classical, and vocal-centric music as well as video games. The Corsair HS60 have a very good bass. LFE (low-frequency extension) is at 10Hz, which is excellent. Low-bass, responsible for the thump and rumble common to bass-heavy music and sound effects is within 1dB of our neutral target. Mid-bass, responsible for the body of bass guitars and the punch of kick drums in hyped by more than 3dB. High-bass, responsible for warmth, is overemphasized by 3dB. Overall, the bass of the Corsair is deep and punchy, but a little hyped. The Corsair HS60 have a good treble range performance. Low-treble is well-balanced and even with a dip around 4KHz, but it won't be very noticeable due to the narrow and shallow range of it. Mid-treble, which is mostly responsible for sharp sounds like S and Ts (sibilances) is rather uneven but decently balanced. This means that depending on their frequency, some of the sibilances will be underemphasized and some other will be overemphasized. The frequency response consistency is about average. Depending on the shape and size of your head, and whether you wear glasses, their bass delivery varies noticeably across different users by as much as 5dB at 100Hz, which is noticeable. Their treble delivery, however, is pretty consistent across multiple re-seats, which is good. The imaging is great. Weighted group delay is at 0.28, which is within very good limits. The GD graph also shows that the entire group delay response is below the audibility threshold. This ensure a tight bass and a transparent treble reproduction. Additionally, the L/R drivers of our test unit were very well-matched. This is important for the accurate localization and placement of objects (voices, instruments, video game effects) in the stereo image. The Corsair HS60 have a mediocre soundstage. The PRTF graph shows a decent amount of pinna interaction and activation, however, the accuracy of the activation is low. Also, there is not a notch present at the 10KHz region either. 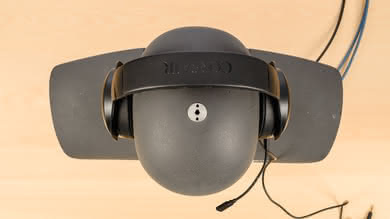 This, and the closed-back design of these headphones, results in a soundstage that may be perceived as small and located inside the listener's head. The harmonic distortion performance is decent. The overall amount of THD produced in the bass and treble ranges is within good limits. The decrease in the THD in the mid-range at 100dB SPL is most likely due to the increased flexibility of the driver under heavier loads. However, the sharp peak around 4KHz could make the sound of that region a bit harsh and impure. 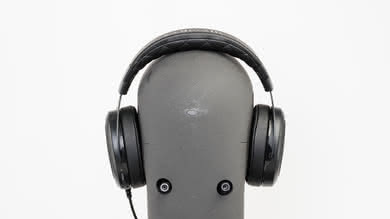 These headphones do not isolate well in noisy conditions. They create a decent seal around your ears that will block some high-frequency noise but it won't be enough for the noisy conditions involved in commuting or being at an eSports/Gaming competition. They also leak quite a bit at high volumes so what you're listening to will be audible to the people around you in quieter circumstances, however, this may not be a significant issue if you mostly game alone or online. The Corsair HS60 have a sub-par isolation performance. These over-ear headphones don't have active noise cancellation (ANC), and therefore don't provide any isolation in the bass range. This means they will let in all the low rumbling noises of airplane and bus engines. Also, in the mid-range, important for blocking out speech they achieve less than 3dB of isolation, which is inadequate. In the treble range, occupied by air conditioning noise and sharp sounds like S and Ts, they provide 29dB of isolation, which is above-average. The leakage performance of the HS60 is mediocre. 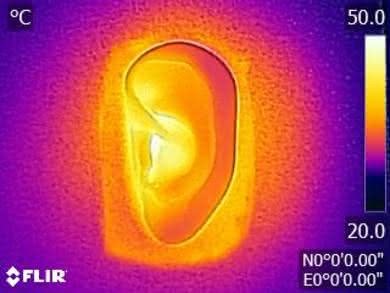 The significant portion of their leakage is spread between 400Hz and 5KHz, which is a relatively broad range. This results in a leakage that is fuller sounding than that of in-ears and earbuds. The overall level of the leakage is not very loud though. With the music at 100dB SPL, the leakage at 1 foot away averages at 45dB SPL and peaks at 55dB SPL, which is just above the noise floor of an average office. The boom mic of the Corsair HS60 has an above-average quality. In quiet environments, speech recorded or transmitted with this mic sounds noticeably thin and bright, but quite clear and easily intelligible. 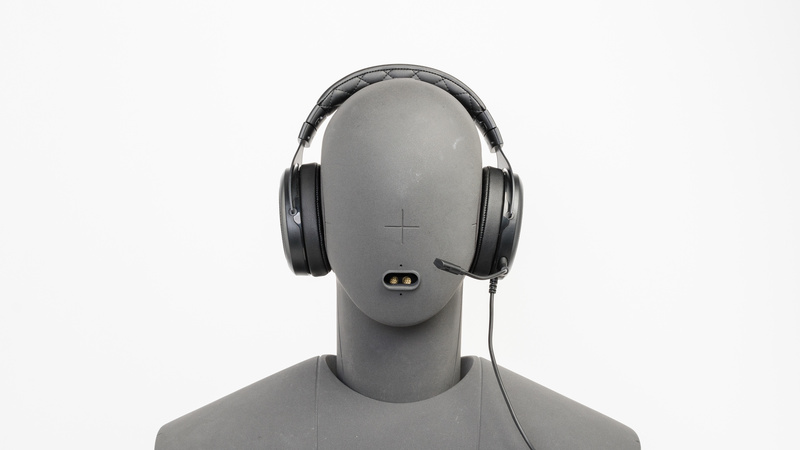 In noisy situations, this microphone is able to fully separate speech from background noise in very loud environments like a game competition, but may struggle a bit in extreme situations. The recording quality of HS60's microphone is decent. The LFE of 523Hz results in a recorded/transmitted speech that sounds noticeably thin. The HFE of 10KHz is quite good and means speech will be intelligible and detailed. The response between the LFE and HFE points is decent, but it'll sound a bit too bright because of the overemphasis in the treble range. The boom microphone of the HS60 is great at noise handling. It achieved a speech-to-noise ratio of 29dB in our SpNR test. This means it is able to fully separate speech from ambient noise in most environments. However, they may struggle a little bit is extremely loud places like a loud subway station. 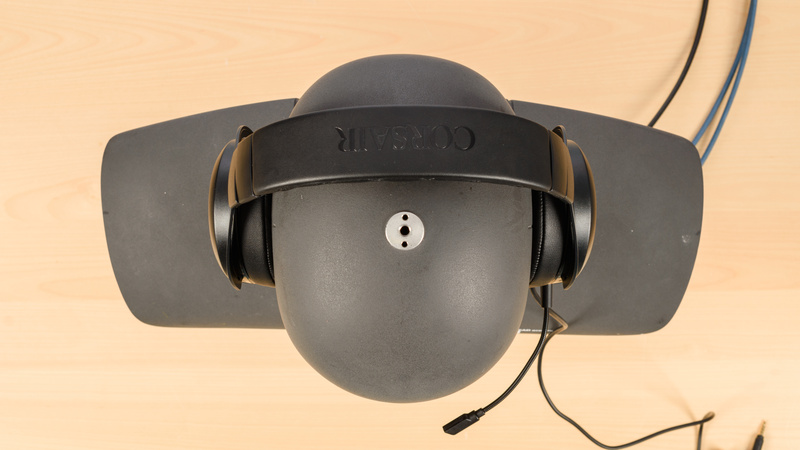 The Corsair HS60 are passive headphones with no battery life. 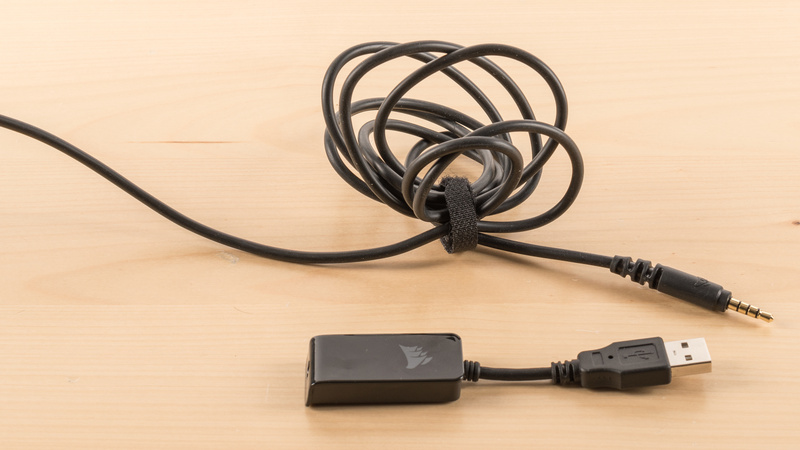 However, if you connect them to your PC with the USB adapter provided in the box they will support the Corsair Utility Engine (which has been renamed iCUE). This gives them some customization options like an EQ and microphone level an surround sound options. 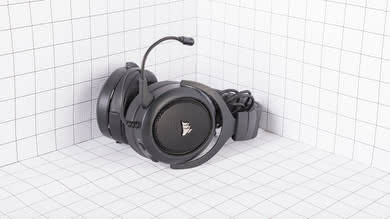 However, since they are passive headphones, this is all done locally on your PC so the presets will not save as you switch and use the HS 60 with your consoles, unlike active gaming headsets that have EQs you can map to different buttons and cycle through depending on the game, like the Astro A50 or the Logitech G933. The Corsair Utility Engine (now iCUE) offers different options depending on the headphone. With the HS60, you get a good graphic equalizer as well as mic control and a simple surround sound option. You can choose between preset EQ or make your own, however, since the headphones are passive they will not keep your the settings as you connect them to a different device except your PC. Also, you have to plug them into your PC with the USB adapter to use the software. If you don't mind much for customization and the EQ, you can look at the Corsair HS50, which is the non-USB, cheaper variant of the HS60. The Corsair HS60 only have a wired connection. On the upside, they also come with a USB headset adapter for surround sound on PC and they are compatible with most consoles via their analog 1/8" TRS cable. Unfortunately, the USB adapter will not work with the Xbox but on the upside, they have negligible latency with both USB and analog, which is good for gaming and watching movies. 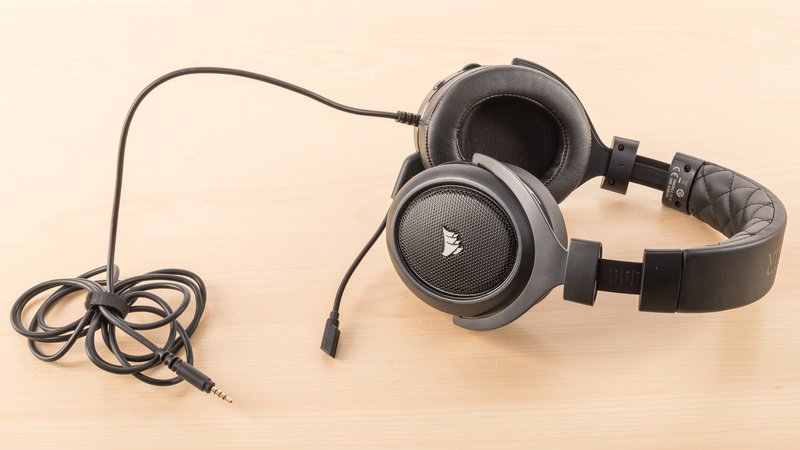 The Corsair HS60 have a wired connection that provides volume control and microphone compatibility support for consoles as long as you plug them into the Xbox One or PS4 controllers. 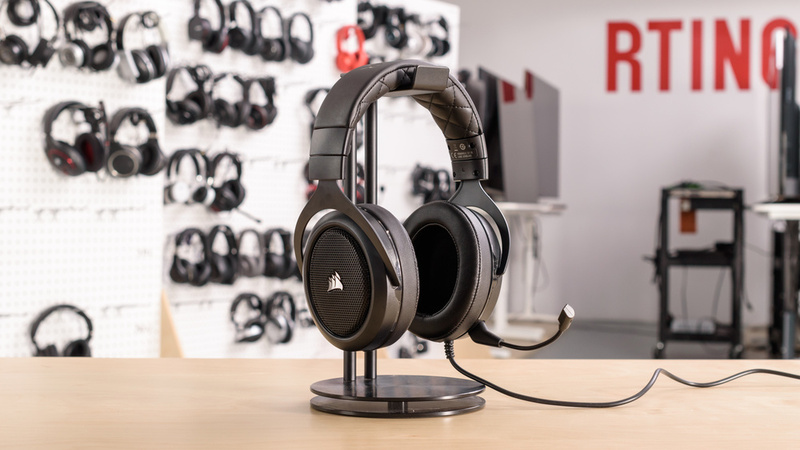 They also come with a USB adapter for PCs that gives them access to a better surround sound and also works with the PS4 but not the Xbox One (see our recommendations for the best Xbox One headsets). However, the default 1/8"TRS cable will work with both consoles. These headphones do not have a wireless range since they're wired. If you want a good wireless gaming headset, check out the recently released Corsair HS70 Wireless or Corsair Void. 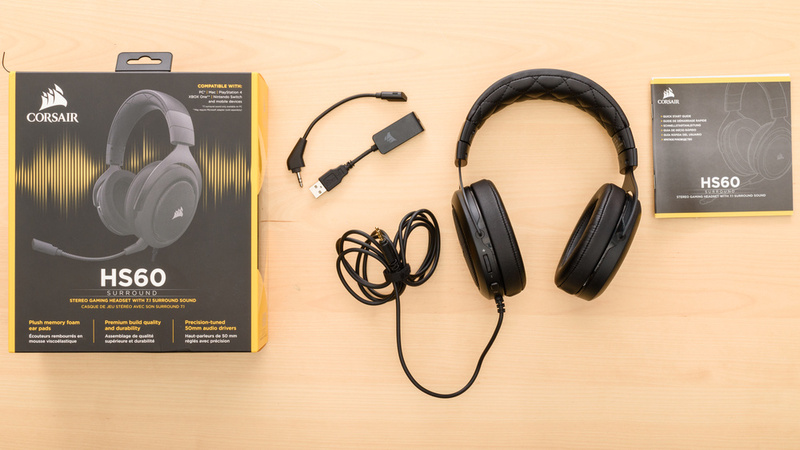 The wired analog and USB connection of these headphones has negligible latency which is suitable for gaming and home theater. The Corsair HS60 are above average gaming headphones with a good build quality and a simple classy looking design. They also have a well-balanced sound and a comfortable over-ear fit that make them a good option for critical listening. They have a casual design you can use outdoors however compared to some of the gaming headphones below, they're a bit more cumbersome and the lack of a detachable cable make them less stable overall. On the upside, their understated look and sturdy build quality make them stand out especially considering their price. 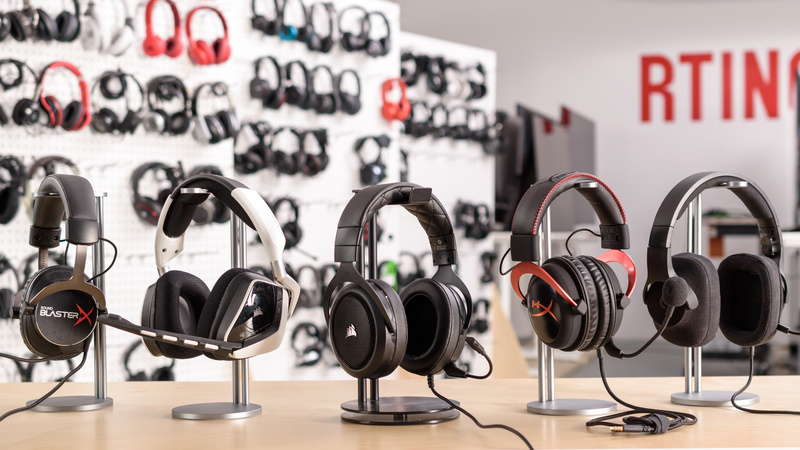 See our recommendations for the best gaming headsets for PC, the best gaming headsets under $50 and the best over-ear headphones under $50. The Corsair HS50 and Corsair HS60 are basically the same headset, but the HS60 come with a USB adapter for you to use the Corsair iCUE software on PC. If you are a console gamer, save a few bucks and grab the HS50, but if you are playing on PC, the customization available on the app might be worth the extra few dollars. The Logitech G433 are overall better gaming headphones than the Corsair HS60. The Logitech have more connection options than the Corsair and come with a mobile-friendly cable that will work with your phone. 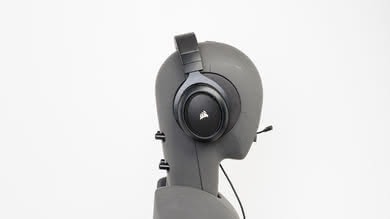 They also come with more accessories than the HS60, like extra ear cup pads and detachable cables. They have a slightly better sound than the Corsair but are also a bit less consistent, so they won't sound the same on all users. On the other hand, the Corsair HS60 have much better build quality than the G433. They also have a more consistent sound, which means they will sound a lot better overall for most. The Corsair HS60 are slightly better gaming headphones than the Corsair Void RGB since they have a wired connection that will work with your consoles and PC. However, if you prefer the convenient range of a wireless headset, then the Corsair Void are a good choice. The HS60 have a better build quality than the Void. They also have a wired and causal design that you can use outdoors, unlike the Void which do not come with a cable or have a detachable boom mic. The HS60 also have a better default sound. On the other hand, the Void have a much better range than the HS60, so you can game from your couch with the PS4 but unfortunately not with the Xbox One. They also have a better mic for voice chat and a slightly better control scheme overall. The SteelSeries Arctis Pro Wireless are much better gaming headphones than the Corsair HS60. The Corsair HS60 are wired with good sound, but the Arctis Pro Wireless sound much better and can be used wirelessly or wired. The Arctis Pro Wireless are much more expensive but are also more versatile since they can also be used with Bluetooth. That said, the price difference is massive, and if you prefer a wired connection, the Corsair HS60 are very well-built and comfortable gaming headphones at a lower price. The Corsair HS60 is a better gaming headset than the Turtle Beach Recon 200. The Corsair is surprisingly well-built and feels durable for its affordable price. The materials feel premium, and the headset is more comfortable than the Recon 200. The audio reproduction is also more accurate, and it has a better microphone as well. 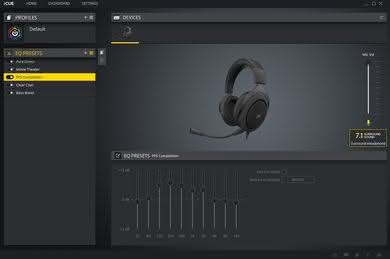 You can also use the Corsair Utility Engine to EQ the headset and enable surround sound. Average for mixed usage. The Corsair HS60 are gaming headphones with a simple and well-built design that's suitable for outdoor use. They won't be the ideal option for more noisy environments like when commuting, but they have an above average sound, a good build quality, and a comfortable over-ear fit. Also, they have a good microphone and since they're wired, they have very negligible latency which makes them suitable for gaming and watching videos. Good for critical listening. The Corsair HS60 have a well-balanced sound that delivers a good bass, a great mid-range and satisfying treble reproduction. The bass tends to be a bit boomy overall, the mid-range is slightly recessed which may push some instrument and vocals to the back of the mix, and treble can sound slightly sharp on some tracks. 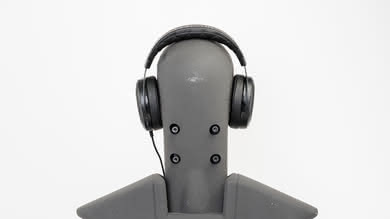 However, they sound good enough for most listeners and even have a decent soundstage for a closed back headphone. They won't be the perfect option for critical listeners but they deliver a good sound that should please most. Below average for commuting. 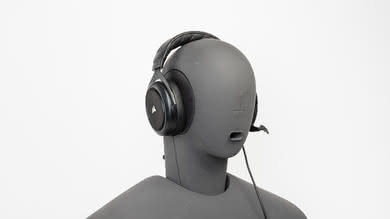 They have an outdoor-friendly design with a detachable mic, a good build quality, and a comfortable design. However, they do not block enough noise to be ideal to use on public transit. Mediocre for sports. Although the HS60 are a bit more stable than typical gaming headsets, they do not have a detachable cable, they're still a bit too bulky and unstable for high-intensity sports and they do not have a control scheme for mobile devices. Average-at-best for office use. They do not block a lot of noise so you will still be able to hear the ambient chatter if you're not playing any music. They also leak a bit at high volumes which may be distracting to the people around you. Mediocre for home theater. The headphones have a low latency, wired connection, and a decently balanced sound. They're also comfortable enough to wear throughout a long movie. Unfortunately, their regular Aux audio cable won't be long enough for most home theater setup unless you watch your movies on your PC or tablet. Above-average for gaming. The Corsair HS60 have a low latency, wired, USB connection, a decently well-balanced audio reproduction, and a good noise filtering mic. They're comfortable enough to wear for a long gaming session and have decent app support on PC. Unfortunately, they do not have the most breathable design, their USB adapter will not work for Xbox and their app is passive so you can't save any presets to the headphone.